Diamond Details: 137 Round brilliant cut white diamonds, of excellent cut and brilliance, weighing 1.40 carat total. 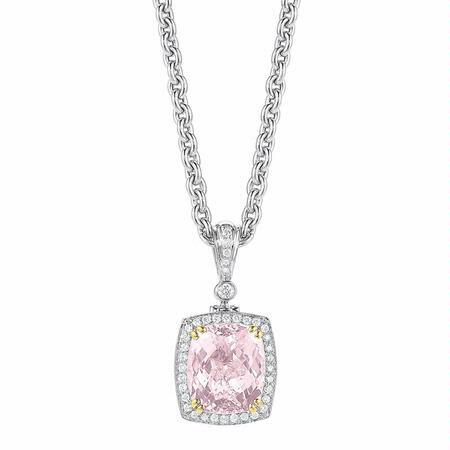 Gemstone Details: 1 Cushion cut morganite, of exquisite color, weighing 7.09 carats. Pendant Design: Charles Krypell 18k white and yellow gold design. 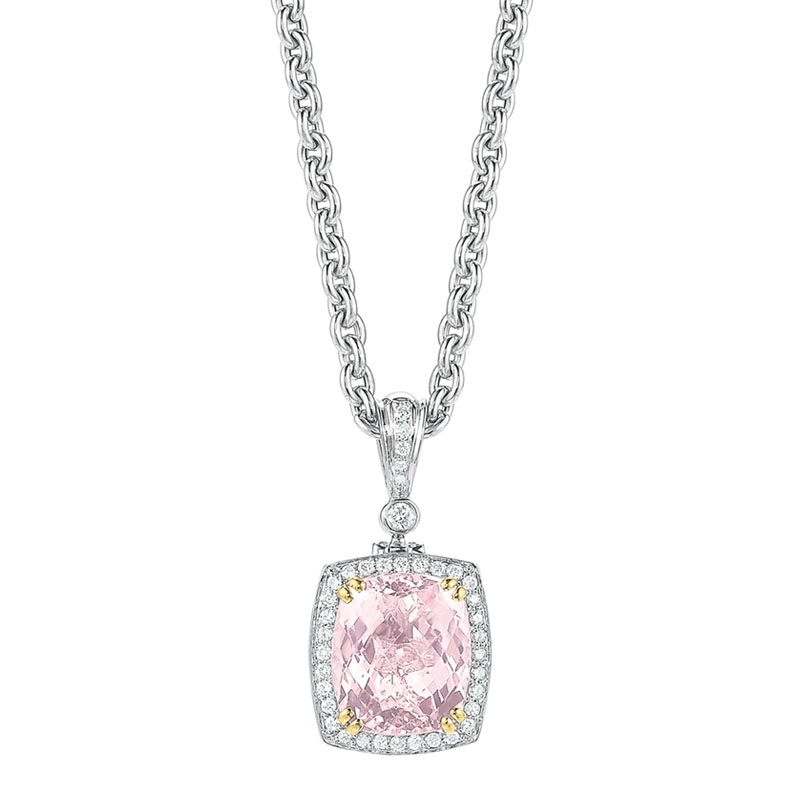 This stunning 18k white and yellow gold pendant necklace, designed by Charles Krypell, contains 1 cushion cut morganite, of exquisite color, weighing 7.09 carats and 137 round brilliant cut white diamonds of excellent cut, quality, and brilliance, weighing 1.40 carats total.